Last night under the Full Pink Moon we meditated and received the energies of Miranda Gray’s Worldwide Womb Blessing. All of us are living in a masculine world. The Sacred Feminine is deeply needed, in our individual female lives and on our hurting planet. Maybe you’re deeply aware of your womb because you’re trying to conceive or are already pregnant. Maybe you want to connect with your womb because you yearn to awaken to the sacredness of your female nature and the Divine Feminine. 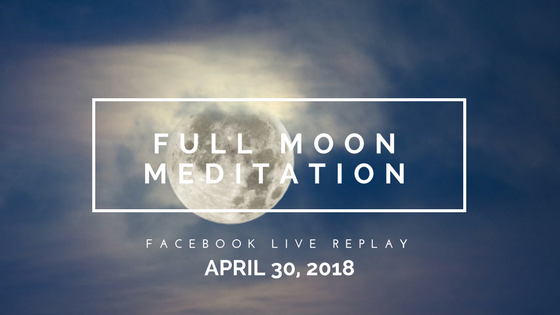 Either way, with this Worldwide Womb Blessing meditation on the Full Pink Moon we’re restoring sacred feminine energy—for ourselves and for the world—by bathing our female bodies and our life-giving wombs in beautiful moon rays of magenta pink light. Harness the magenta pink light of this Full Pink Moon to ask, How can I call sacred feminine wisdom into my heart, my womb, and my day-to-day life?